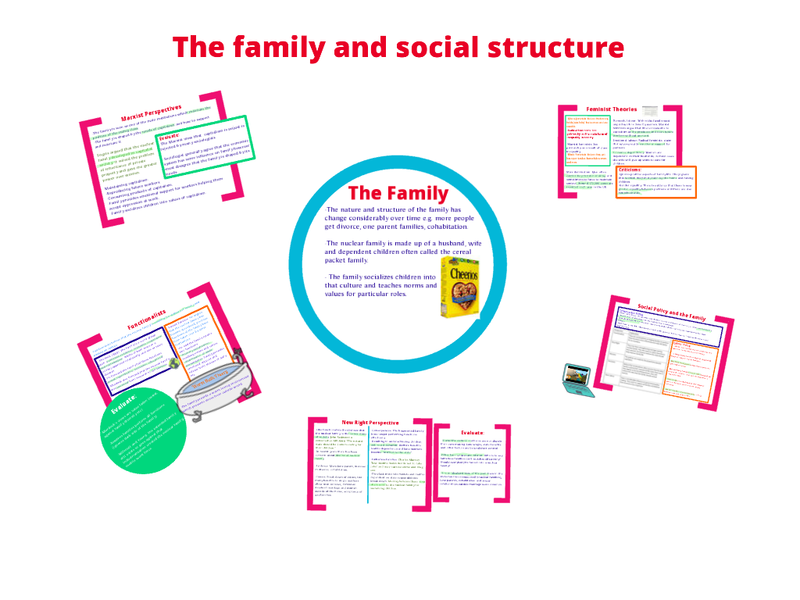 Functionalists see the family as being integral to the ‘functioning’ of the social body. 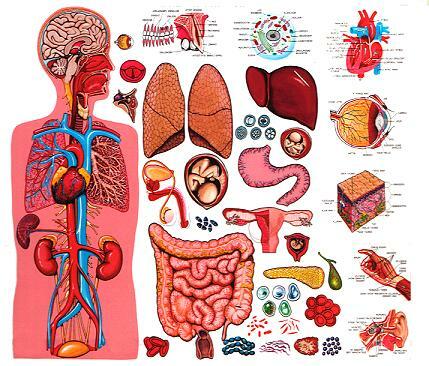 This has to be understood in the same way the heart is a functional prerequisite (basic need) of the human body. 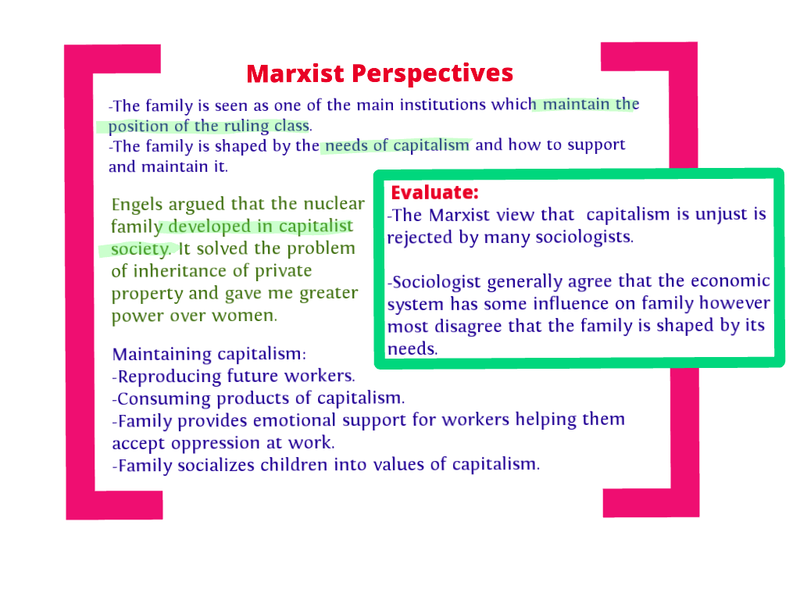 Using this same principle the family is seen as a functional prerequisite of the social body, without it the social body (society) would fail to function properly. 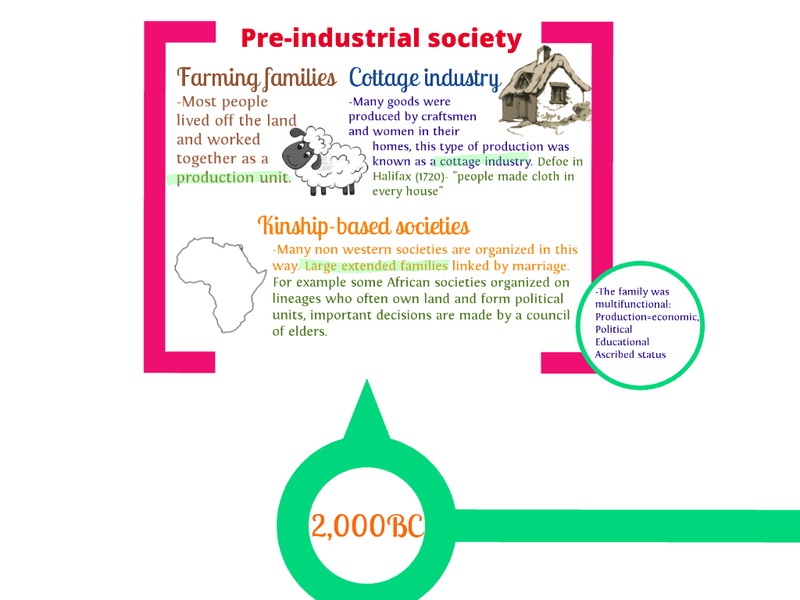 Therefore in the same way the human body needs the brain to make sure all the other major organs work properly, society needs the family to function properly as it socialises children into the culture they live in. 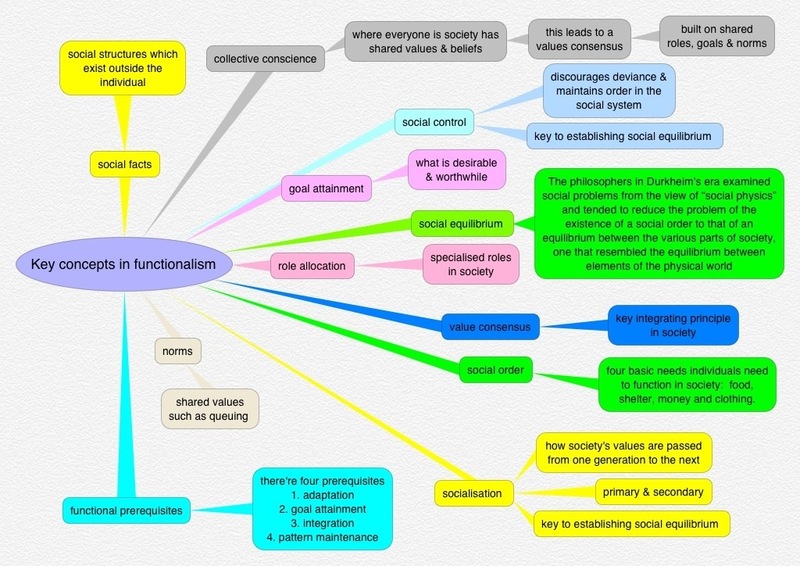 Learn more about functionalist social theory. 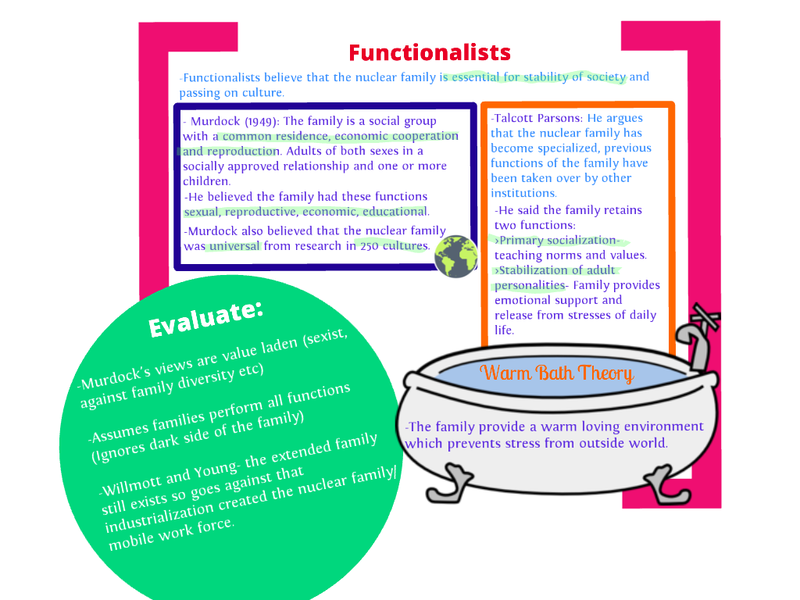 So what are the functions of the family? Murdock’s point was the sexual function of the family provides sexual gratification for both men and women. Such a function is useful as it stabilizes the family by keeping both parents emotionally attached. For example if either parent wasn’t sexually satisfied then they might be inclined to stray and so threaten family stability. Kingsley Davis (1937) argued prostitution has a family function as it provides sexual satisfaction without threatening the family. Murdock wasn’t without his critics. 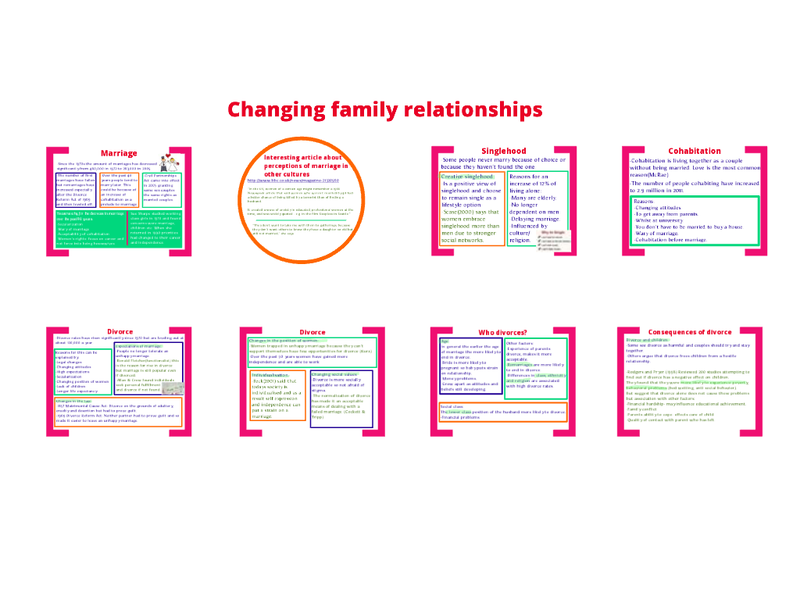 Murdock assumes all families function well, such an approach ignores less ‘happy’ families neither does his recognise the role other institutions could play in achieving the four uses listed above. 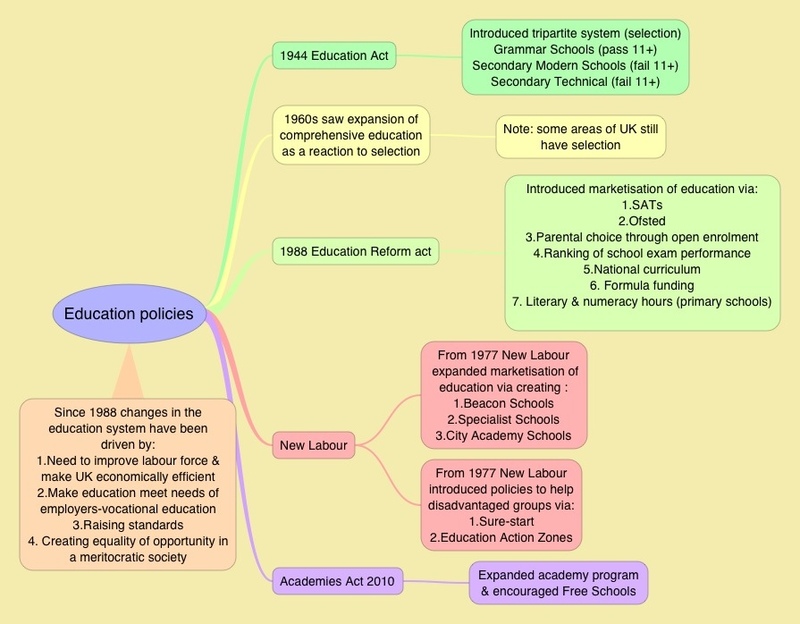 Another functionalist, Talcott Parsons, developed Murdock’s approach.